As its cross-town rival General Motors sheds several brands, Chrysler is mounting a plethora of new brands under its Pentastar. There is a lot of talk about the new Chrysler-Fiat Company bringing over Alfa-Romeo and importing the new Fiat 500 not as a Chrylser, but as a Fiat which will reintroduce the brand after a 26-year hiatus. The strangest news isn’t the re-introduction of Fiat and Alfa Romeo into the US marketplace, we all expected that when Fiat “bought” Chrysler for zero Euros, but there is an article in this week's BusinessWeek saying Chrysler is going to pull the Dodge Ram truck from the Dodge brand and create a Ram brand. The new Ram brand will become the pickup and commercial vehicles brand for the post-bankrupt Chrysler. The Dodge Ram is one of the strongest products in Chrysler and moving it from Dodge to its own brand doesn’t seem like it would really impact sales much. The Dodge Ram actually defines everything in the Dodge stable. For example, if you want to know what all future Dodge grilles will look like, just look at the next Ram pickup. The current Ram’s grille has inundated everything in Dodge: Caliber, Journey, Avenger, and even the Grand Caravan minivan mimic the Ram’s grille. Why create a new brand with all the additional cost to market and position it in consumers’ minds? Establishing a new brand will cost Chrysler considerably. They’ll have to communicate what Ram is all about; buy ad time for two brands instead of one; and the dealer network will have to have all new materials and training. The dealership nightmare alone is not worth the effort. 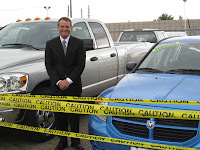 It would be odd for any Dodge dealer to not become a Ram dealer too. 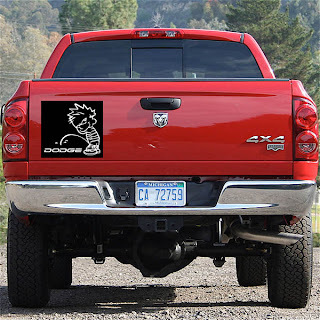 I’m quite sure Dodge dealers would be none too happy losing their truck products and left with Calibers and Avengers on their lots. The worse part of adding Ram as a brand is that it does nothing to address Chrysler’s elephant in the room – poor product. Not one product is recommended by Consumer Reports, product design is severely lacking behind competition, interior design is at least two product cycles behind GM and Ford, and long-term quality has been a major issue. What the Ram brand decision says to me is that Chrysler thinks their issue is branding, not product or worse it says they can solve their product issues by re-branding. If only they could market their products better they could increase sales. Now, I’m not saying they can’t improve their marketing – we all can. What I am saying is that marketing isn’t the big problem at Chrysler. You need to have highly desirable products in such a competitive automotive market and Chrysler-Dodge-Jeep-Ram is seriously lacking products that beat or meet the competition. Maybe Chrysler knows this and decided the only way to increase interest is to create a new brand and hope no one will notice the products didn’t change? Unfortunately, they’re only fooling themselves.